The Armstrong Scholarship was established in 2011 by the parents of Chris Armstrong, the first openly gay student-elected president of the Michigan Student Assembly, now called the Central Student Government. The scholarship was set up in his name to help teenagers who face bullying attend the university. Private financial support helps ensure that Student Life is capable of continuing its work shaping leaders and fostering the development of the whole student. Through our programs, services, facilities and partnerships, we facilitate student transformation and enrich the education of every student, every day. The holiday break can be something of an adjustment for many parents. Disappointing to those whose students don’t travel home for Thanksgiving, great anticipation for those who will be seeing their students for the first time since the school year started. For the students who remain in Ann Arbor, it’s an opportunity to rest, socialize with friends, and to have some quiet study time. Yet, they also would welcome a good conversation from the family at home, to keep in touch and share their thoughts and feelings. As you send your student off, be sure to remember that no matter how far away you are you can still show you are thinking about them! University Unions offers a care package website where you can order balloon bouquets, snack bags and other edible gifts online and have them delivered around campus by U-M students. Perfect for Welcome to Michigan, Birthdays, Fuel for Finals, Good Luck, Get Well or just to show you care! When U.S. News & World Report this year again cited the University of Michigan as one of the nation’s best universities, it included two distinctive observations. U-M faculty were noted as having “an unusual commitment to undergraduate teaching.” In my day-to-day experiences with deans and professors and directors of academic programs, it is very evident that we have great teachers here – and consequently, great learners. Whether you’re thousands of miles away or just down the road, communicating with a college student can be a challenge.  The University of Michigan’s M-Parents website provides a wealth of resources to help you learn about life on campus. Learn how to best support your student every step of the way—including advice from other parents and tips on how to stay in touch. Whether your student is embarking on the first year of his journey at the University of Michigan, or she is returning for her senior year, the separation from home is bittersweet. Along with the pride in growing independent is the anxiety of letting go – feelings shared by both the parent and the student. As spring arrives in Ann Arbor each April, the University of Michigan community readies itself for change. The snow melts and the weather warms up; students take finals, say goodbye to friends and pack their bags for the summer; and graduating seniors enjoy the last few weeks of their college experience before moving on to the next phase of their lives.